William Timothy Mantlo (born November 9, 1951) is an American comic book writer, primarily at Marvel Comics. He is best known for his work on two licensed toy properties whose adventures occurred in the Marvel Universe: Micronauts and Rom, as well as co-creating the characters Rocket Raccoon and Cloak and Dagger. An attorney who worked as a public defender, Mantlo was the victim of a hit-and-run accident in 1992 and has been in institutional care ever since. Bill Mantlo was born in Brooklyn, New York City, the oldest of three sons of William W. and Nancy Mantlo. Growing up as a comics fan, Mantlo attended Manhattan's High School of Art & Design. In college at the Cooper Union School of Art, he focused on painting and photography. Following his graduation, Mantlo held various civil service positions and worked as a portrait photographer. A connection with a college friend in 1974 led Mantlo to a job as an assistant to Marvel Comics production manager John Verpoorten. Mantlo's first credits were as a colorist, on several comics cover-dated from October 1974 to April 1975. Soon afterword, Mantlo wrote a fill-in script for a Sons of the Tiger story in Deadly Hands of Kung Fu, which led to a permanent writing position on that title. While scripting Deadly Hands, Mantlo and artist George Pérez created White Tiger, comics' first superhero of Hispanic descent. Around this time, Marvel's then editor-in-chief Marv Wolfman instituted a policy to avoid the many missed deadlines plaguing the company. The policy was to have fill-in stories at the ready, should a title be in danger of missing its deadline. Mantlo quickly became the "fill-in king", creating stories under very tight deadlines, many of which did find their way into print. By the mid to late 1970s he had written issues of nearly every Marvel title. Space Glider seemed to suggest a Reed Richards nobility, an aspect of command, of dignity. Acroyear, faceless, his armor gleaming, a fantastic sword clenched in his coldly metallic hand, seemed to hearken back to a warrior Mr. Spock. For some reason Galactic Warrior seemed insect-like — I can almost hear clicks and whistles and strange scraping interjected into his speech. But Time Traveler — there was a mystery there, glimmerings of cosmic vastness, intimations of knowledge and space and time all having been broken down and reassembled to produce something entirely new, unexplainable, different. Mantlo convinced then-editor-in-chief Jim Shooter to obtain the comics license for these toys; Shooter then hired Mantlo to script their series. Mantlo and artist Michael Golden created the Micronauts' backstory of history, mythology, personalities, and an alphabet. Micronauts, along with Moon Knight and Ka-Zar the Savage, became one of Marvel's first ongoing series to be distributed exclusively to comic book stores beginning with issue #38 (Feb. 1982). Mantlo's first run on The Spectacular Spider-Man featured frequent appearances by the White Tiger. He used the series to wrap up unresolved plot elements from The Champions series and wrote a multiple-issue storyline that included the first work by artist Frank Miller on the Daredevil character. Mantlo concluded his first run on the series with a crossover with the Fantastic Four #218 (May 1980). Mantlo, Mark Gruenwald, and Steven Grant co-wrote Marvel Treasury Edition #25 (1980) which featured a new story starring Spider-Man vs. the Hulk set at the 1980 Winter Olympics. While writing The Champions he collaborated with artist Bob Hall, who said in 2013, "Bill was a peach — very helpful to me as I got started [in the comics profession] ... I think we were both as enthusiastic as we could get about this particular comic, but more because we were working at Marvel than because of the book itself." Mantlo began writing The Incredible Hulk with issue #245 (March 1980). His five-year run on the series was noted for his depiction of the Hulk as highly emotional and humanized, rather than bestial and savage. Among the adversaries he created for the series were the U-Foes and the Soviet Super-Soldiers. Summarizing his early years with the Hulk, Mantlo remarked, "I did retreads of old Hulk stories to try and find a new direction, and just kept doing more and more repetition of what had already happened. Then [editor] Al Milgrom said, ‘Well, don’t accept this. If you want to make changes, make them. Take some risks.’ That’s when we decided to give Hulk Bruce Banner’s intelligence. From that point on I felt as if I had finally had a direction and control over the character. So I guess I took a year and half or maybe two years to get to the point." Mantlo and artist Ed Hannigan co-created the superhero pair Cloak and Dagger in The Spectacular Spider-Man #64 (March 1982). Mantlo, Gruenwald, and Grant reunited to co-write Marvel Super Hero Contest of Champions, the first limited series published by Marvel Comics. Other work by Mantlo includes runs as the regular writer on Iron Man and Alpha Flight. By the mid-1980s, he was enrolled in law school. Though he continued writing for Marvel, his workload began to decrease due to disputes with management. He wrote briefly for DC Comics in 1988, scripting the Invasion! miniseries. By this time he had passed the bar exam, and in 1987 began working as a Legal Aid Society public defender in The Bronx. 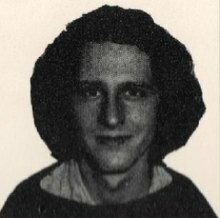 Mantlo was married to Karen Mantlo (née Pocock), for some years a letterer in the comics industry. They have a son, Adam, and a daughter, Corinna (born 1981). On July 17, 1992, Mantlo was struck by a car while rollerblading. The driver of the car fled the scene and was never identified. Mantlo suffered severe head trauma. According to his biographer, cartoonist David Yurkovich, in 2006, "For a while Bill was comatose. Although no longer in a coma, the brain damage he suffered in the accident is irreparable. His activities of daily living are severely curtailed and he resides in a healthcare facility where he receives full-time care." As Mantlo's brother and caregiver Michael described the injury: "Bill is, and has been, trapped in a world of confusion and despair since his accident. The cognitive deficits he suffered have left him unable to reason or understand his situation, and he struggles daily to maintain any control over his own mind. For someone with his intellect and imagination, this was the absolute worst type of injury that could ever have happened to him." In 2007, Yurkovich released the benefit book Mantlo: A Life in Comics, with all proceeds donated to help toward the costs of maintaining Mantlo's care. In addition, on December 6, 2007, the Portland, Oregon, comic-book shop Floating World Comics sponsored "Spacenight: A Tribute to Bill Mantlo", an art show consisting almost entirely of various artists' interpretations of Rom, to help raise funds for Mantlo's care. Throughout December 2010, Floating World Comics sponsored "Spacenite2", also featuring artists' interpretations of Rom, with all proceeds going to Mantlo's care. In 2014, Marvel Entertainment and Walt Disney Pictures granted Mantlo a private preview screening of the Marvel Cinematic Universe film Guardians of the Galaxy, which features his creation, Rocket Raccoon, as a principal character. Michael Mantlo said his brother was pleased with the adaptation, which credits him as the character's co-creator, and enjoyed the occasion. Micronauts won the 1979 Eagle Award for Favourite New Comic Title. In 2014, Mantlo received the Bill Finger Award. ^ Issue #7 credits Mantlo as the writer of the "Cloak & Dagger" story but the issue was in fact wholly written by "Dr. Strange" writer Peter B. Gillis. The letters pages in later issues corrected this error. ^ a b c Seitz, Lee K. (January 13, 2000). "Bill Mantlo". Rom Spaceknight Revisited! (fan site). Archived from the original on November 24, 2010. Retrieved February 2, 2009. ^ a b c d "Micromails: Meet the Micro-Makers: Bill Mantlo," Micronauts #7 (Marvel Comics, July 1979). ^ a b c "Interview with Bill Mantlo (via InnerspaceOnline.com)". BEM: The Comics News Fanzine (24). July 1979. Archived from the original on November 23, 2010. Retrieved February 2, 2009. ^ Sanderson "1970s" in Gilbert (2008), p. 191: "Prolific writer Bill Mantlo and artist Sal Buscema created a Marvel comics series and a whole mythology around Parker Brothers' toy 'ROM'." ^ a b "The Micronauts: Gil Kane Thinks Small (via InnerspaceOnline.com)". Amazing Heroes. Stamford, Connecticut: Fantagraphics Books (7). December 1981. Archived from the original on November 23, 2010. Retrieved February 15, 2009. ^ Saffel, Steve (2007). "A Not-So-Spectacular Experiment". Spider-Man the Icon: The Life and Times of a Pop Culture Phenomenon. Titan Books. p. 73. ISBN 978-1-84576-324-4. Frank Miller was the guest penciler for The Spectacular Spider-Man #27, February 1979, written by Bill Mantlo. [The issue's] splash page was the first time Miller's [rendition of] Daredevil appeared in a Marvel story. ^ Manning "1980s" in Gilbert (2012), p. 113: "In the conclusion to a tale that had begun in the pages of Peter Parker, The Spectacular Spider-Man #42 (May), writer [Bill] Mantlo and artist John Byrne had the latest incarnation of the Frightful Four face off against their Fantastic counterparts. ^ Manning "1980s" in Gilbert (2012), p. 113: "Spider-Man's fights with the Incredible Hulk were always popular with the fans, so Marvel decided to pitch the wall-crawler against the Hulk when the Mole Man and his gang of villains crashed the festivities of the prestigious Winter Olympics." ^ Walker, Karen (July 2013). "'We'll Keep on Fighting 'Til the End': The Story of the Champions". Back Issue!. Raleigh, North Carolina: TwoMorrows Publishing (65): 20–23. ^ a b Shayer, Jason (February 2014). "Hulk Smash More! : The Incredible Hulk in the 1980s". Back Issue!. Raleigh, North Carolina: TwoMorrows Publishing (70): 50–63. ^ DeFalco, Tom "1980s" in Gilbert (2008), p. 199: "Inspired by the 1979 Graham Parker song 'Waiting for the UFOs', the creation of the U-Foes was truly a team effort. Writer Bill Mantlo and artist Sal Buscema produced the first U-Foes story, but editor Al Milgrom helped design the costumes and Editor-in-Chief Jim Shooter suggested some of the names." ^ DeFalco "1980s" in Gilbert (2008), p. 207: "Cloak and Dagger's first appearance was written by Bill Mantlo and illustrated by Ed Hannigan. A socially conscious writer, Mantlo used the characters to address the problems of teenage runaways and the dangers of illegal drugs." ^ DeFalco "1980s" in Gilbert (2008), p. 208: "Plotted by Mark Gruenwald, Steven Grant, and Bill Mantlo, and penciled by John Romita, Jr., Contest of Champions eventually saw print in June 1982." ^ Kelly, Dave (January 1, 1989). "Mantlo Wants Cloak and Dagger Back! Bill Mantlo's Fall From Grace". Amazing Heroes. Seattle, Washington: Fantagraphics Books (156): 48–50. ^ Mantlo, Bill (January 19, 1990). "To the Editor: Grand Juries Can Defend Rights of the Accused". The New York Times. Archived from the original on November 10, 2012. Retrieved February 15, 2009. ^ Johnson, Dan (May 2006). "Marvel's Toy Story: Rom's Sal Buscema and Micronauts' Jackson Guice: A 'Pro2Pro' Interview". Back Issue!. Raleigh, North Carolina: TwoMorrows Publishing (16). ^ Shooter, Jim. "Bullpen Bulletins", Iron Man #148 (July 1981) and other Marvel Comics titles published that month. ^ Coffin, Bill (November 7, 2011). "Tragic Tale". National Underwriter Life & Health. Archived from the original on January 3, 2012. ^ a b Hatcher, Greg (October 27, 2006). "Friday with David Yurkovich". Comic Book Resources. Archived from the original on November 23, 2010. Retrieved February 2, 2009. ^ Rogers, Vaneta (August 5, 2014). "Rocket Raccoon's Story: Humble Beginnings, Tragedy and Film Triumph". Newsarama. Archived from the original on October 12, 2014. ^ "Helping Legends Directly". 2007. Archived from the original on January 2, 2011. Retrieved November 24, 2010. ^ "Spacenight: A Tribute to Bill Mantlo". Floating World Comics. November 13, 2007. Archived from the original on November 23, 2010. ^ "Spacenite2: A Tribute to Bill Mantlo". Floating World Comics. November 16, 2010. Archived from the original on May 7, 2013. ^ "Spacenite 2 – Fundraiser Auctions for Bill Mantlo". Floating World Comics. December 22, 2010. Archived from the original on May 2, 2013. ^ Johnston, Rich (August 3, 2014). "Bill Mantlo, Co-Creator Of Rocket Raccoon, Gets A Private Viewing Of Guardians Of The Galaxy, Courtesy Of Marvel". Bleeding Cool. Archived from the original on August 8, 2014. Retrieved August 4, 2014. ^ "Finger Award - Robert Kanigher, Bill Mantlo, Jack Mendelsohn to Receive 2014 Bill Finger Award". San Diego Comic-Con International. 2014. Archived from the original on April 2, 2014.